ISL Appeals panel has reduced the Quantum of punishment imposed on FC Goa for the fracas that played out in 2015 ISL final, which they lost by 3-2 to Chennaiyin FC. 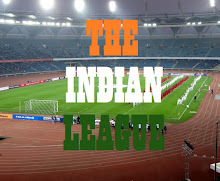 The ISL Appeals Panel comprising of Honourable former Chief Justice of Bombay High Court Mr. Kshitij Vyas heard the submission of all the parties and annopunced their verdict. The ISL Appeals Panel in its judgement revoked the sanction on 15 points docked on FC Goa, thus allowing FC Goa to start their ISL 2016 campaign on par with other teams in the League. ISL Appeals Panel has revoked the respective ban on two of FC Goa’s owners, viz. Dattaraj Salgaocar and Srinivas Dempo.The decision was taken after FC Goa and Elano mutually agreed to put to rest the discord between themselves and bury the incident in the best interest of the game. Since it was a first time offence, the Appeals Panel has revoked the respective bans on the owners. The Appeals Panel noted that players, Club officials and all others associated with the League need to display behaviour that is an example for the fans and public. Appeals Panel has reduced the FC Goa’s financial penalty to Rs. 6 crore from the earlier Rs. 11 crore. The Appeals Panel also stated that this amount to be paid to FSDL, should be utilised for investments solely in grassroots development programmes for football in the country. Appeals Panel also set aside Rs. 1 crore penalty levied on FC Goa to be paid to Chennaiyin FC as part of the latter’s legal expenses. 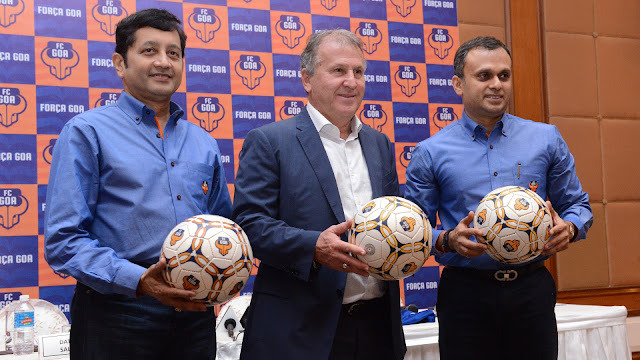 Even though the ban on FC Goa co-owners, Dattaraj Salgaocar and Shrinivas Dempo was lifted by the Appeal Panel, the duo decided to withdraw their stakes in the franchise. In a FC Goa board meeting that took place after the ISL appeal panel's verdict, both Dempo and Salgaocar said that incident left them disturbed. "The developments post the finals on December 20, 2016 have caused deep distress to us, our families, the FC Goa team and Goans in general. We have received a copy of the statement of Elano Blumer of Chennaiyin FC conveying his regrets over his actions that occurred post match on December 20. In the interest of our innumerable fans and the team, with great sadness we have taken the painful decision to exit from FC Goa," they said in a joint statement. With their exit, FC Goa ownership is left with Cricketer Virat Kohli and Videocon Group, though news have been doing rounds the Jaydev Modi owned, Delta Group will buy the stakes of the outgoing duo in FC Goa, making them the majority stake holders.